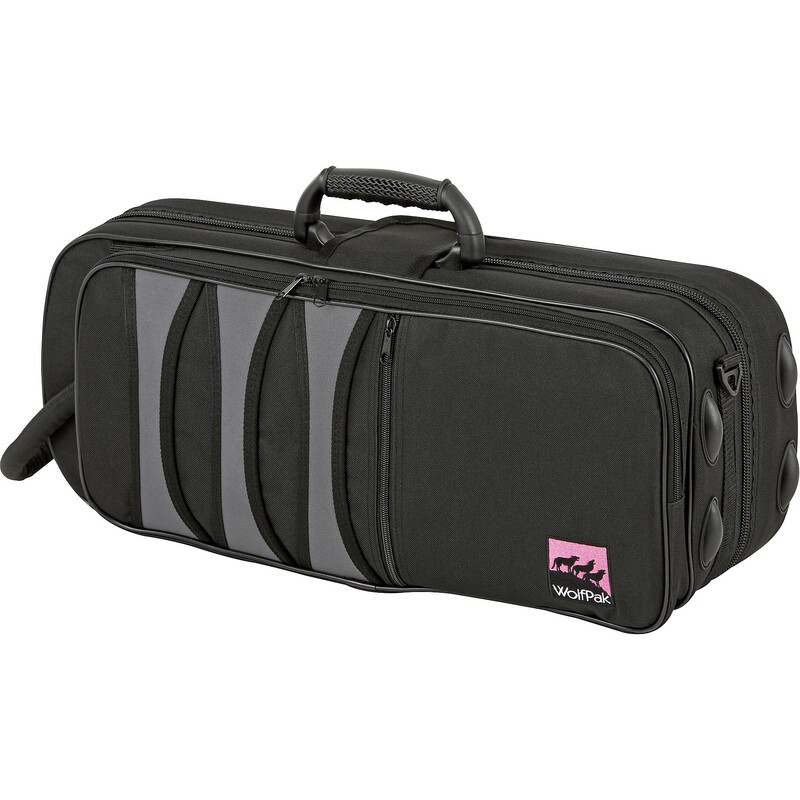 Whether you’re a professional musician or student, WolfPak Cases has a lightweight, durable case that protects your instruments like no other. 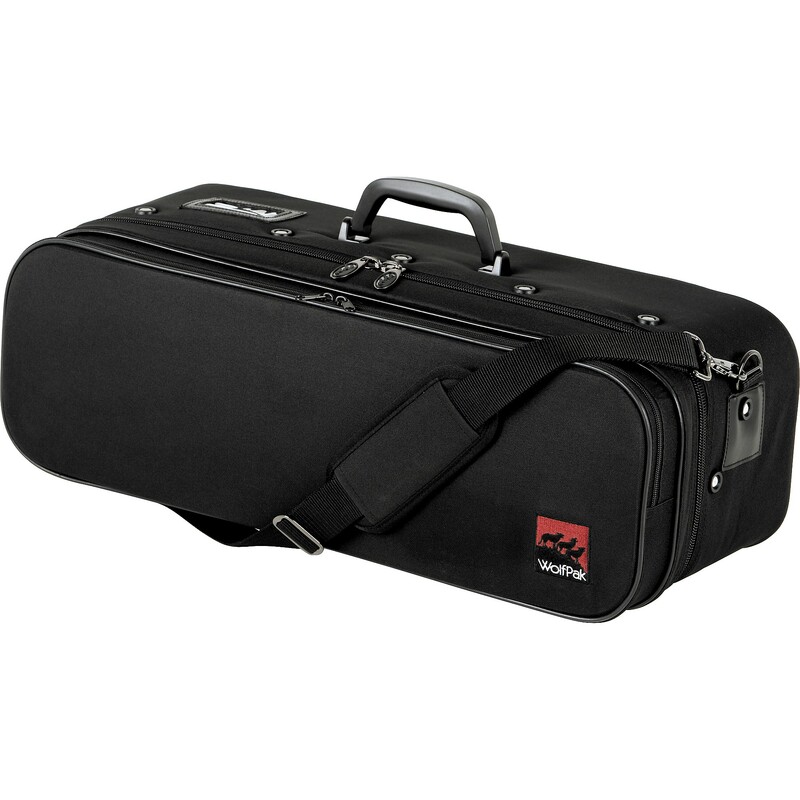 Because of its revolutionary design, WolfPak cases outperform other conventional wood or fiberglass instrument cases. They’re constructed with high-tech sturdy materials and designed for modular flexibility and long-lasting protection of your investment. It’s time to let your music take you where you want to go. With side zipper compartments, accessories, padded shoulder straps, luggage-style wheels and handles, WolfPak travels easy. Whether you’re walking, biking, transporting by car or by plane, WolfPak cases travel on your musical journey. Unique polymer technology provides optimum balance of weight, durability and protection. 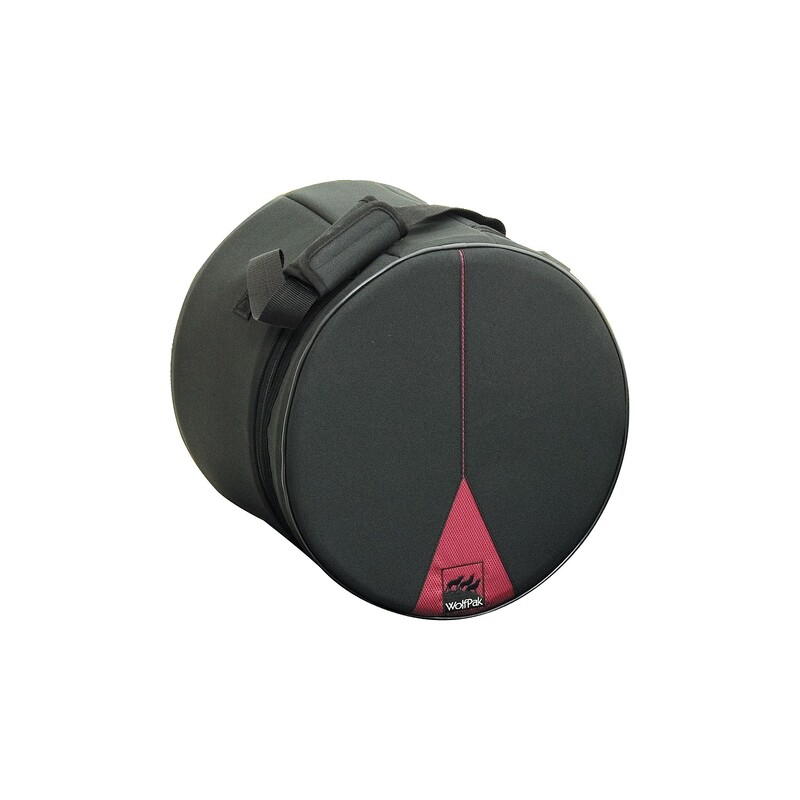 When the case is closed, a monolithic structure is formed by the way the lid fits fully into the shatterproof shell, eliminating the weak points associated with normal closure hardware. This type of design has been proven to provide exceptional impact and velocity protection over thousands of miles of travel. 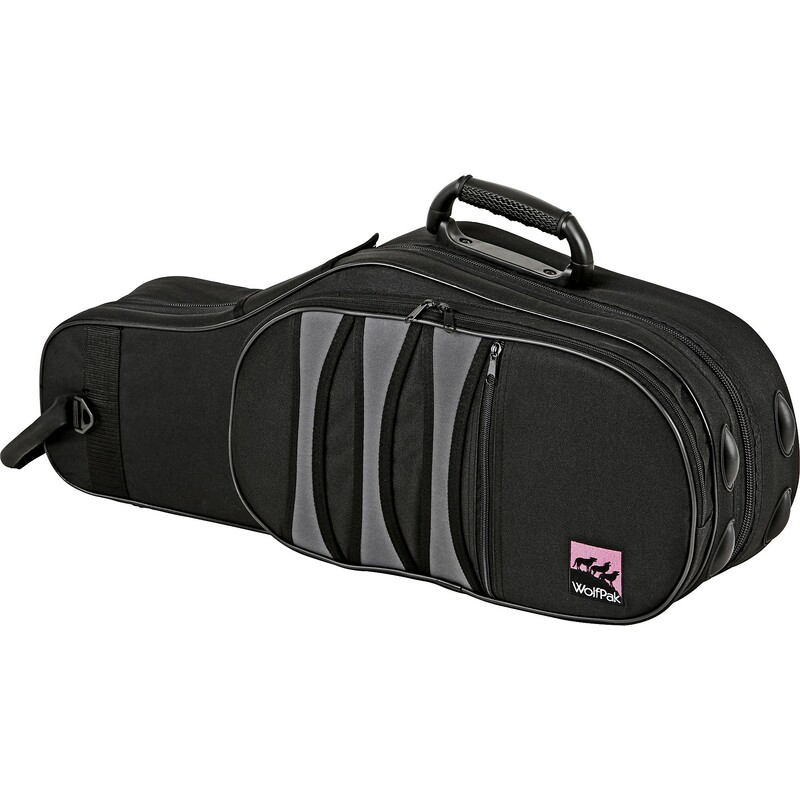 The hard poly shell is lined with over an inch and a half of fabric-covered foam so your instrument is cradled in soft padding, cushioning the blows of day-to-day use and abuse. We cover this ultra-durable shell with a higher quality, tough, specially backed DuPont Cordura® nylon fabric, adding resistance to weather, scratches and dents. By adding our exclusive D-ring feature, the Wolfpak case becomes a flexible modular system. The unique locking mechanism of the D-ring simply snaps together so you can easily link other WolfPak cases and bags. Even if you don’t have far to go to your next performance, you can pack all your essentials, plus some. 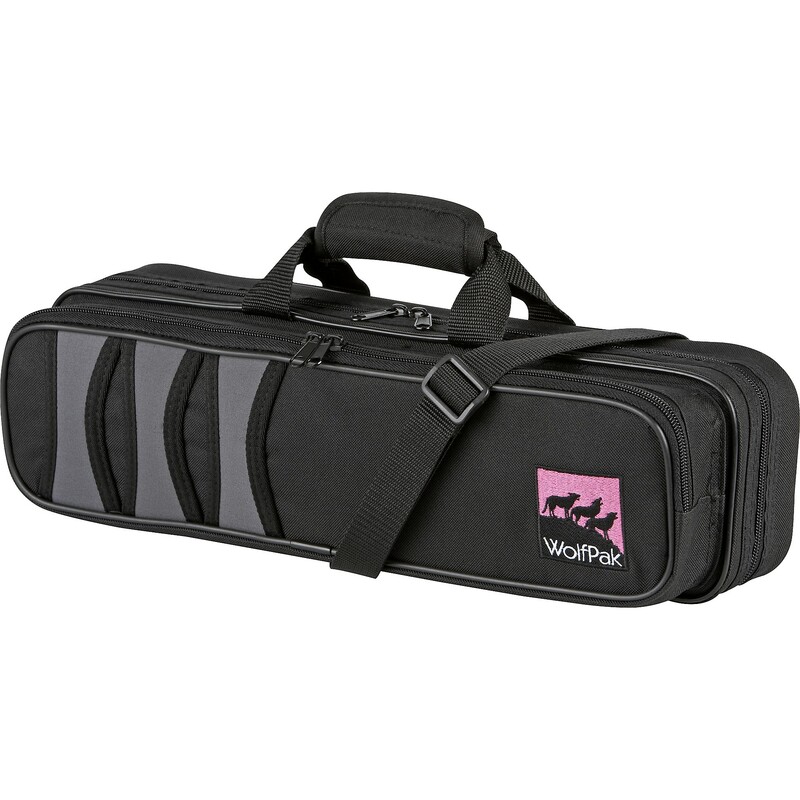 Say you need two instruments, a music stand, and assortment of accessories and sheet music — WolfPak has just the right case, with many different styles to choose. Features include the D-ring feature for snap-on attachments, backpack, and luggage-style retractable handle and wheels. I have been traveling constantly for the past few years, and the WolfPak is the ideal case for me. Not only is it tough enough to check in with my luggage on a flight, but it is also small enough to carry on the plane. What I really love about my case are the wheels and the retractable handle. When you travel a lot, this really comes in handy! I never have to worry about traveling with my horns again. WolfPak is definitely the case to have, and the best case I have ever owned! The WolfPak sax case is perfect for me. The convenience of a bag and the protection of a hard case. When I put my horn in the case I know it is protected and that’s a great feeling! It’s worth the investment and I would recommend it to anyone who really cares about his/her instrument. It’s time to let your music take you where you want to go. 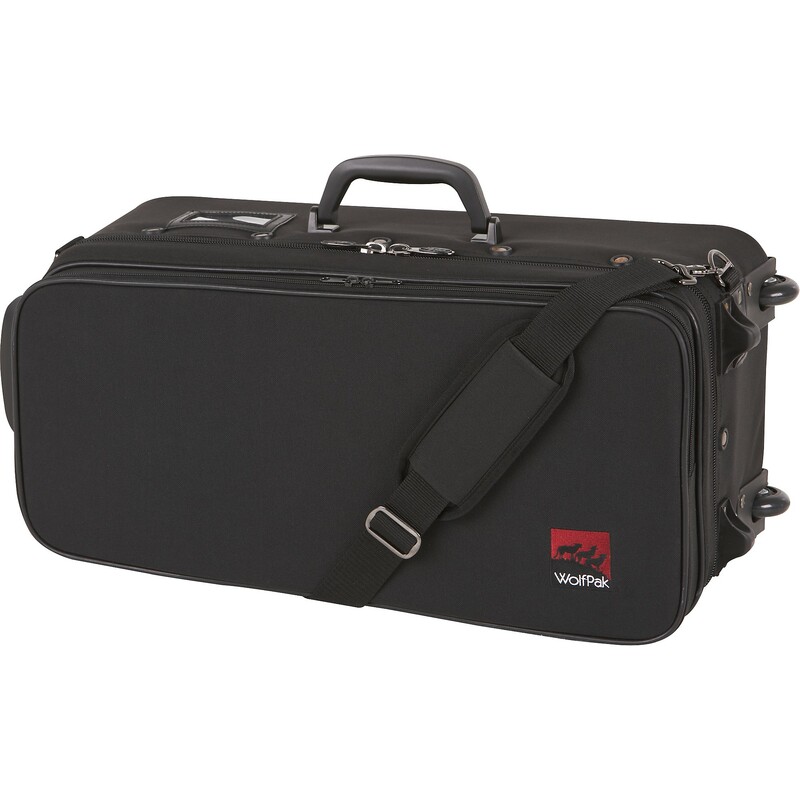 Whether you’re a professional musician or student, WolfPak Cases has a lightweight, durable case that protects your instruments like no other. 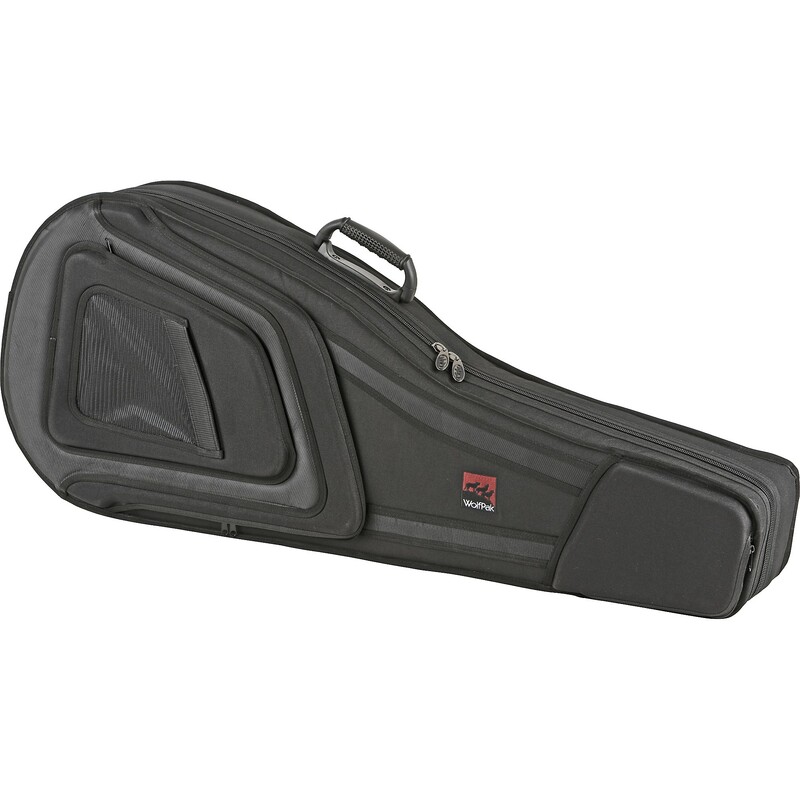 Because of its revolutionary design, WolfPak cases outperform other conventional wood or fiberglass instrument cases. They’re constructed with high-tech sturdy materials and designed for modular flexibility and long-lasting protection of your investment. Unique polymer technology provides optimum balance of weight, durability and protection. When the case is closed, a monolithic structure is formed by the way the lid fits fully into the shatterproof shell, eliminating the weak points associated with normal closure hardware. This type of design has been proven to provide exceptional impact and velocity protection over thousands of miles of travel. 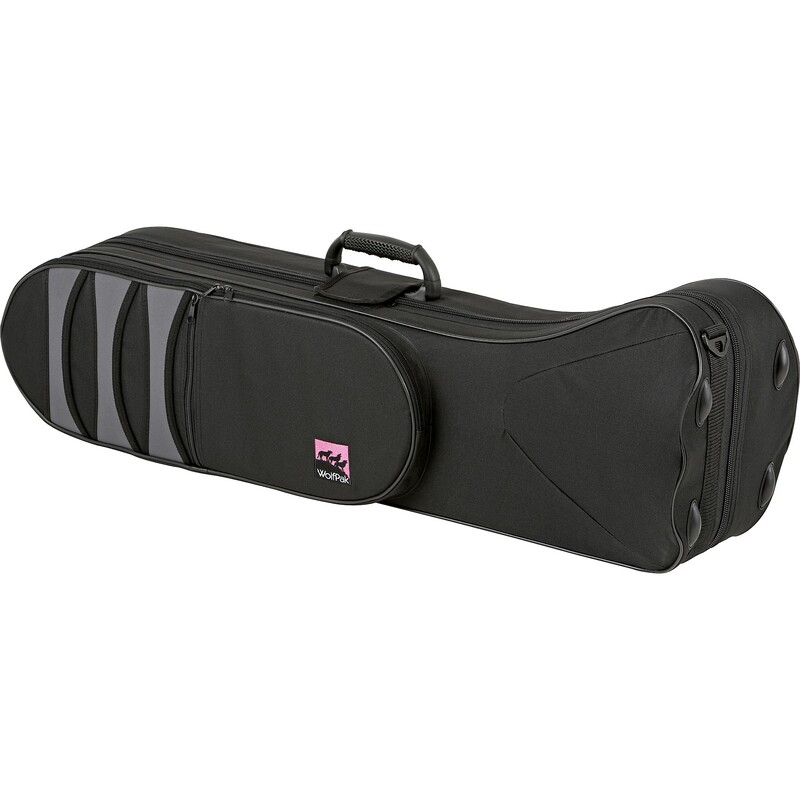 The hard poly shell is lined with over an inch and a half of fabric-covered foam so your instrument is cradled in soft padding, cushioning the blows of day-to-day use and abuse.